The production of chemical fertilizer (also called inorganic, synthetic, artificial, or manufactured) depends on the mining of two very crucial elements: phosphorus (P) and potassium (K). Chemical fertilizers are fertilizers that have been artificially manufactured to contain nutrients in specific quantities. Commercial chemical fertilizers are more expensive than natural fertilizers. They may contain ingredients that may be toxic to the skin or respiratory system. These fertilizers are also known as artificial fertilizers, synthetic fertilizer and inorganic fertilizers. These fertilizers can be manufactured from petroleum products, rocks and some times using organic sources. Chemical fertilizers, in effect, kill the soil while organic fertilizers improve and sustain the soil. Chemical fertilizers destroy the friability of soil. Chemical fertilizers contain acids, including sulfuric and hydrochloric acids. These acids dissolve soil crumbs, the material that holds rock particles together. While the fertilizers help a plant to grow, they do not do much for the soil. They do not help to improve the health or structure of the soil. Hence, when chemical fertilizers are used for prolonged duration, the soil gets damaged as the trace nutrients are not replenished in the soil. When these cementing materials are destroyed, the result is a compacted surface that prevents rain water from entering the soil. Chemical fertilizers affect micro-organisms living in the soil. The acidity of chemical fertilizers also adversely affects the soil ph, thereby changing the kinds of microorganisms that can live in the soil. Using chemical fertilizers for a prolonged period of time upsets the pH of the soil, causes an increase in pests and does away with the beneficial microbes present in the soil. These are beneficial microorganisms that provide plants with natural immunity to diseases. Chemical fertilizers leach away into our ground water without fully benefiting the plant. Highly soluble fertilizer dissolves into the soil quite rapidly. Since plants can only absorb a certain amount of nutrition at a time, much of the fertilizer simply leaches away. Not only is this leaching detrimental to our ground water, these chemicals also seep into the subsoil. There they interact with clay, forming impermeable layers called hardpan. Bottom line: Money is wasted, soil conditions are undermined, and plants are not nurtured. Chemical fertilizers encourage plant disease. Fast-release chemical fertilizers have a high nitrogen content compared to slow-release organic fertilizers. When there is an overabundance of nitrogen (N) in relation to phosphate (P), plants are more susceptible to mosaic infections. 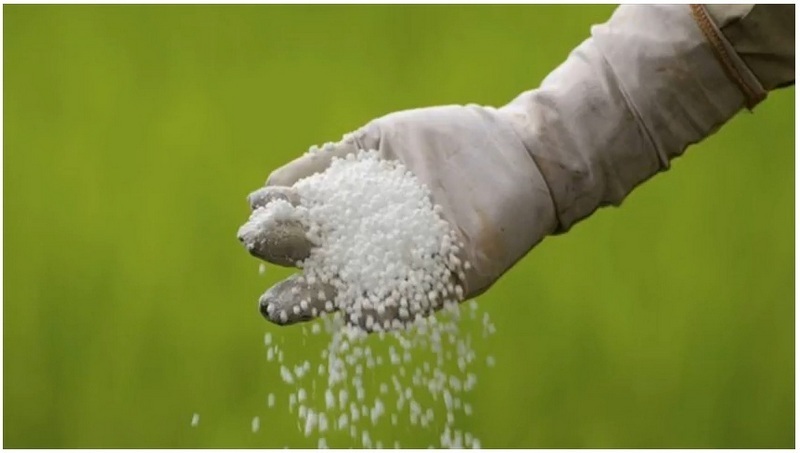 Most of the artificial fertilizers have sulfuric acid and hydrochloric acid and when too much of these fertilizers are used, they tend to destroy the beneficial microbes present in the soil. These microbes help to increase the nitrogen level of the soil and the plant absorbs this natural nitrogen to facilitate its growth. High nitrogen, as well as a lack of trace elements, is also related to fungal and bacterial disease in plants and vegetables. Chemical fertilizers produce fruits and vegetables with lower nutritional value and less flavor. Repeated use of chemical fertilizers causes toxic chemicals, like cadmium, arsenic and uranium, to build up in the soil. These toxic chemical can ultimately find their way into the fruits and vegetables that a person grows. The lack of trace elements in chemical fertilizers not only means an increase incidence of plant diseases, but it also means there is less nutrition from the fruits and vegetables for the consumer. Trace minerals are an important component of healthy nutrition. 0 Response to "Disadvantages of Chemical Fertilizer"